The 9–5 grind isn’t here. Careers and a tropical-kind-of-life are. Young professionals are flocking to Tampa Bay. It seems word has gotten out about the region’s music, food, culture and long, sun-drenched days. Not to mention Tampa Bay’s cost of living is more affordable than most major cities. Businesses have followed—notably in the healthcare, tech and financial services industries— yet they still pay competitive salaries. Are you next? But don’t just take his word for it. The city can speak for itself. TIME magazine ranked Tampa Bay as one of the top cities millennials are moving to in 2017. Sure, it doesn’t hurt that it’s affordable and the water is gorgeous and there’s culture around every corner. But what really clinches it is that Tampa Bay is one of the top craft beer destinations in America. Or at least that helps brew the area’s urban, artisanal vibe. Plus, the work-life balance is steeped into the Tampa Bay lifestyle, as leisure and industry pair perfectly together like a cold IPA on a warm day. 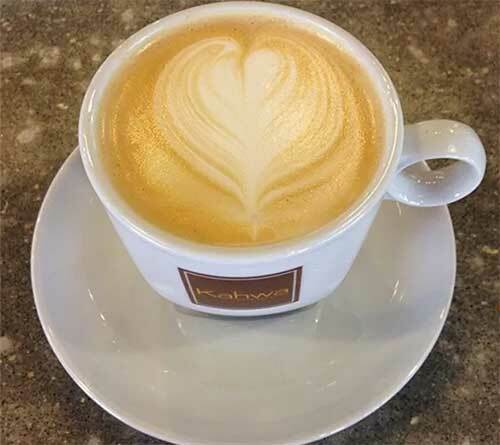 Before work, stop by a local coffee shop—such as Kahwa Coffee, Blind Tiger Café or Buddy Brew—for a caffeinated concoction or a fresh-baked pastry. These local businesses are just one of many new coffee shops in town, all independently and locally owned. After you fuel up for your day, whether your commute is by car, bicycle or via Riverwalk, you can soak in the sunshine as you make your way to work. When noon hits, take a leisurely lunch at one of the foodie destinations downtown, such as industrial-meets-library-chic Oxford Exchange or the international small plates of Anise Global Gastrobar. Grab some fresh Vietnamese spring rolls from Bamboozle Cafe, or take the streetcar to Ybor City for a taste of the city’s deep Cuban, Spanish and Italian roots with a Cuban sandwich at the Columbia Restaurant, or a deviled crab at Carmine’s. Or, brown bag it at Curtis Hixon Waterfront Park, near the Tampa Riverwalk . Here, co-workers mingle over sandwiches and salads, or walk along the 2.4-mile Riverwalk, which follows the sparkling waters of the Hillsborough River, connecting many of the city’s museums, parks and restaurants. Here, days don’t end at 5 p.m.—that’s when it’s time to kick back with friends and check out the latest craft cocktails or local beers at one of Tampa Bay’s breweries, bars or restaurants. For one thing, Fly Bar in downtown Tampa has a killer happy hour on weekdays, and for another, Ulele Spring Brewery on the north end of the Riverwalk offers inspired brews to pair with its native cuisine. And just a streetcar away, Ybor City has an awesome brewery hop, consisting of Cigar City Cider and Mead and Coppertail Brewing Co. When it comes to nightlife fun, the options don’t end ‘til early in the morning. Ybor City’s clubs on 7th Avenue cater to every scene and music taste, and the bars on South Howard buzz on the weekends with posh nightclubs, beer and wine retreats and hole-in-the-wall taps. Downtown Tampa Fourth Fridays mix it up with concerts, art walks, free tours, drink specials and more. Those events include regular art festivals, outdoor movie screenings, beer festivals, pride events and indie markets. 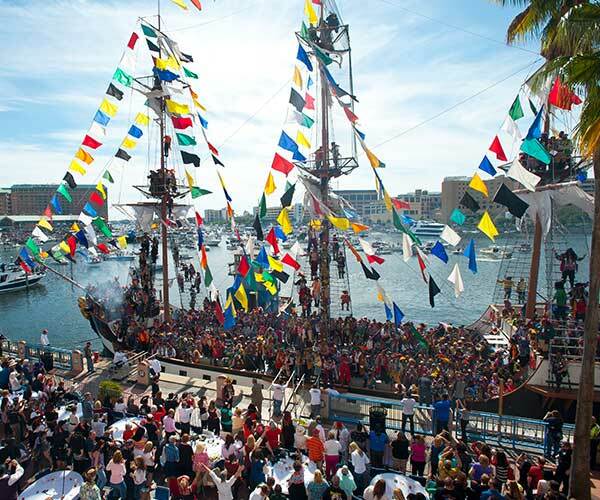 At the beginning of the year, the whole city is invaded by the pirate spirit with Gasparilla, an extravaganza of music, culture, floats and of course, pirates. Now that you’ve read what we have to offer, are you ready to discover something new? Seek the treasures that await? The city has more to reveal.